you are interested in, you’ll find out what’s most important about it: the content. Can 200,000 copies be wrong? 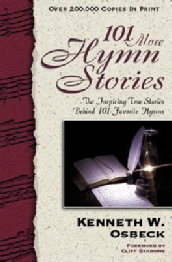 After Ken’s successfull “101 Hymn Stories,” he published a second similar work with the original title of “101 More Hymn Stories.” OK, pardon the sarcasm, but it was so popular that it has been printed over 200,000 times. That’s pretty good, I’d say! And Osbeck’s second book is as good as his first. Osbeck may be a musician; but he writes like a good reporter, or a biographer - not a historian. These aren’t a collection of boring facts strung together; they are stories. They are good stories! And they are good stories told well. Each of the hymn stories includes a hymnal arrangement of the song, and also some type of pithy quote, saying, poetry, or anecdote. The chapters are short - averaging just about three pages per story. Easy to read; and easy to want to keep on reading! 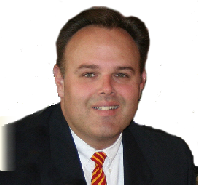 Preachers, Teachers, and speakers will find a wealth of illustrative material here. Christians looking for good devotional material will find months of solid reading. There just isn’t much not to like here! I give this book a “Great Resource for Everyone Rating” - which is basically my top rating for a book like this. It’s hard to imagine it being any better. Osbeck’s hymn stories are some of the finest devotional works published from the twentieth century. Amazon.com offers 6 reviews (as of Februrary, 2012). Read them here. This is one of the true Christian classics of devotional literature written in the 20th Century. If you’re familiar with the Grand ‘Ole Hymns of the Faith, then this book is indispensable reading. It will stir your soul - and make you a better singer!